North Crawley are part of a three-way tie for the lead of Four Counties Division 1 after a consummate performance against Olney on Saturday. A stuttering-start to the cricket season has seen rain disrupt most of the opening fixtures, however, glorious sunshine on Saturday ensured the games could go ahead. But it would be a short afternoon for both sides as North Crawley made light work of Olney, who began the day top of the pile. 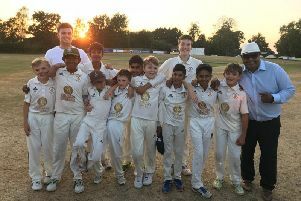 After bowling their opponents out for just 152, North Crawley (153-1) needed just 19 overs to take the straightforward win, losing just one wicket along the way. It means they are tied on 70 points with Elstow, who eased past Eaton Bray, and reigning champions Thurleigh, who beat New City. Olney meanwhile slip to sixth, behind city rivals Milton Keynes and New Bradwell, who went head-to-head on Saturday. And thanks to Chris Timms’ 110 not out, it was New Bradwell who took the spoils. Despite Neil Gordon (68) and Keith Brady (50) scoring well for MK, they were all out for 201 as Chris Wade took 4-57. With Timms leading from the front, Bradwell (205-5) cruised to victory. Iqbal John’s 77 guided Westcroft (177) to victory over Great Horwood (37) while Thurleigh (164-6) held on to take victory against New City (160) and remain in the mix at the top of the table.